Pancakes are a favorite for so many families. They are easy to make and very budget friendly. However, it can be easy to get into a rut of plain pancakes with syrup. 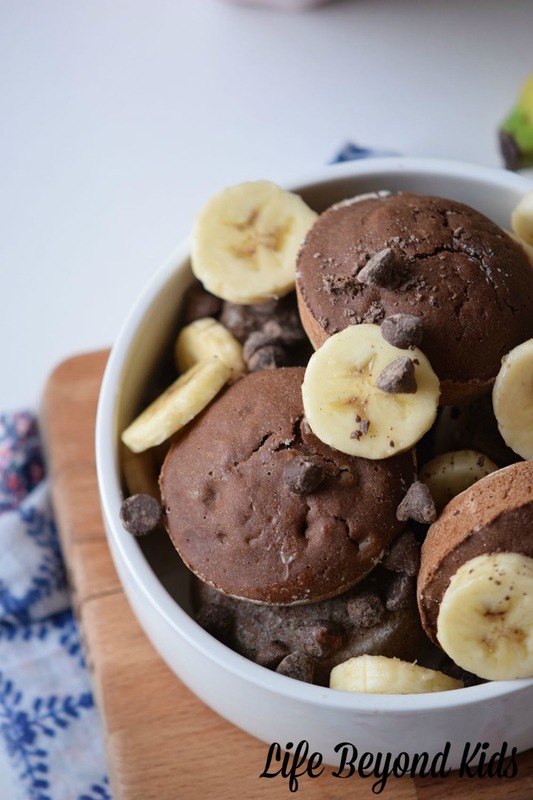 So, why not surprise the kids one morning with Chocolate Pancake Poppers? They say breakfast is the most important meal of the day. Your body is coming out of the ‘fast’ from sleep and the influx of calories helps get things going. Most of my family eats a good breakfast, but a few of the boys sometimes skip. I suspect making dishes like this more often would have them at the table in good spirits. Serving these with an egg or two would give everyone extra protein to satiate appetites. While I know some might shy from something sweet for breakfast, I’ve read a few articles suggesting that having the higher calorie load in the morning is better for you. This isn’t quite chocolate cake for breakfast, but these poppers definitely delight your taste buds. 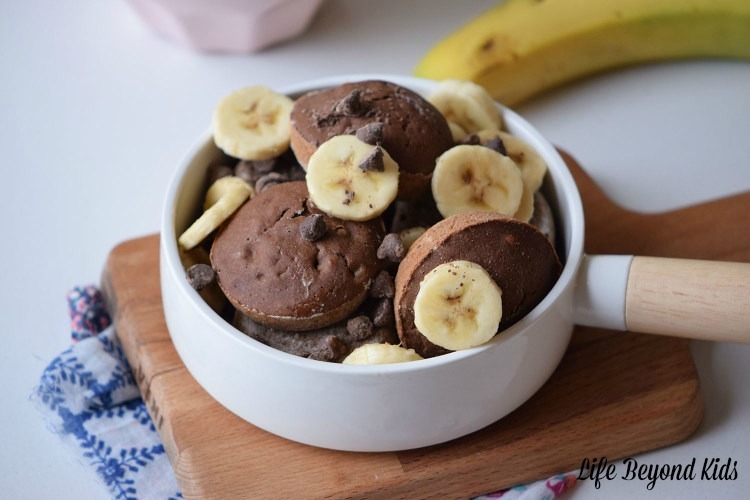 Paired with slices of banana and some extra chocolate chips is just one way to present them. I have a few boys who would love a peanut sauce on top or even just spread peanut butter on them. I would adore berries or a berry syrup (ask me about Young Living Ningxia Red Syrup) as an alternative option. I think these would also make a lovely snack in the afternoon. Or a different kind of dessert. Anyway you slice it, these Chocolate Pancake Poppers are delicious. This recipe was made using mini-muffin tins. You can always make the pancakes on the griddle, but there is something nice about everything baking at one time. I know my boys do not always want to wait for the next few pancakes to be finished. 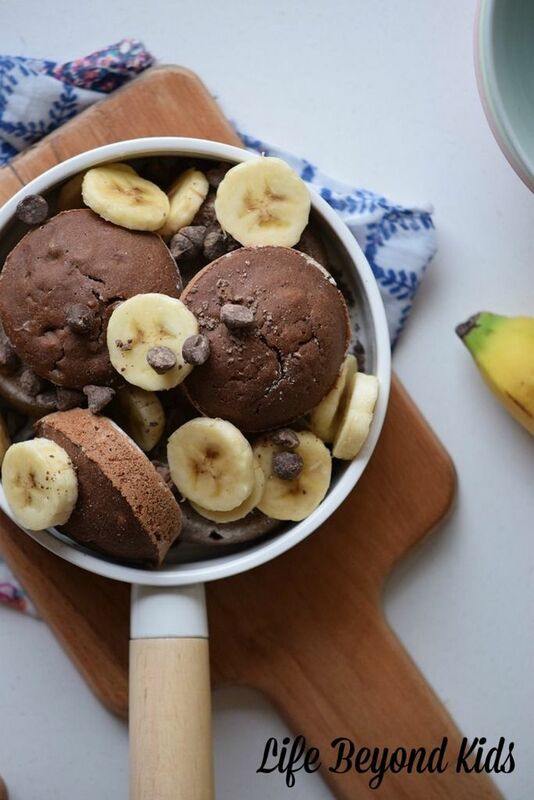 In a medium bowl mix the flour and the baking powder, the beat the eggs one at a time, finally incorporate the milk, sugar, and cocoa powder. Mix until no lumps are left. Bake for 15-20 minutes or until done. Add a pinch more baking powder to make them extra fluffy. Top these poppers with berries, or with peanut butter and chocolate chips if you are feeling extra indulgent. 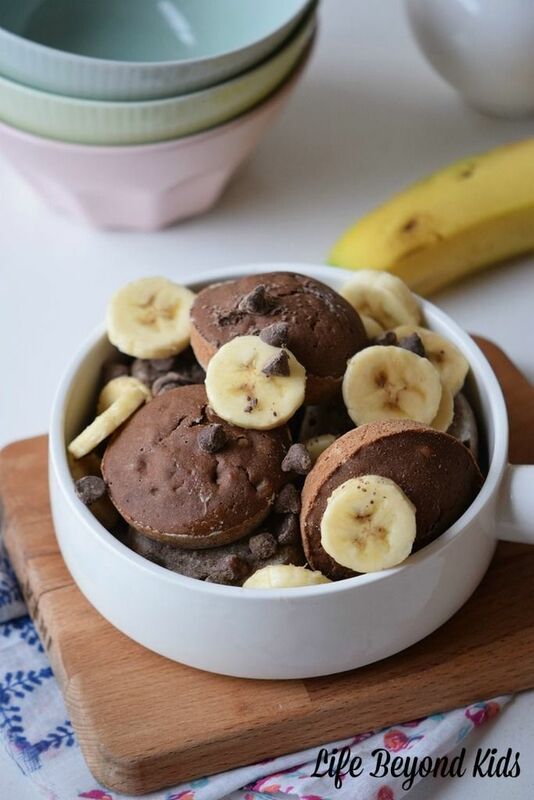 Would your family enjoy these Chocolate Pancake Poppers for breakfast or a snack? Which toppings would YOU use?